Did the Search for Meaning in Scriptures Really Lead to the Gospel Narratives? To some extent, the followers of Jesus knew the basic facts: he was crucified by the authority of Pontius Pilate (with the complicity of the Jewish leadership?) outside the city of Jerusalem around the time of the Passover. Yet what was the meaning of those events? As Koester has noted, that question led the followers of Jesus back to the Scriptures, to familiar passages that seemed to describe some comparable situation. 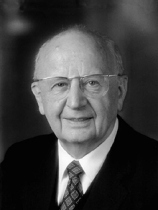 For example, according to Nils Dahl, “[E]arly Christians read Psalm 22, Psalm 69, and other psalms of lamentation, probably also Isaiah 53, as accounts of the passion of Jesus before there existed any written passion story.” 21 As Crossan explains, these believers did not read such passages “as referring exclusively and individually to Jesus but rather… to their original referents and to Jesus now as well.” 22 Thus, in addition to the examples cited by Dahl, one passage that helped Jesus’ followers make sense of what had happened was this verse from the Psalms: “The rulers take counsel together, against the LORD and his anointed” (2: 2). Another such passage— one that seemed to include what had happened to Jesus’ followers— was a verse from Zechariah: “Strike the shepherd, that the sheep may be scattered” (13: 7b). And after reports of the resurrection, Jesus’ followers saw new significance in this verse from Hosea: “After two days [the LORD] will revive us; on the third day he will raise us up” (6: 2). According to Crossan, these “passion prophecies” led the first generation of Christians to develop the belief that Jesus’ suffering and subsequent vindication had all been part of God’s plan. Chumney, David. Jesus Eclipsed: How Searching the Scriptures Got in the Way of Recounting the Facts (Kindle Locations 1608-1621). Kindle Edition. 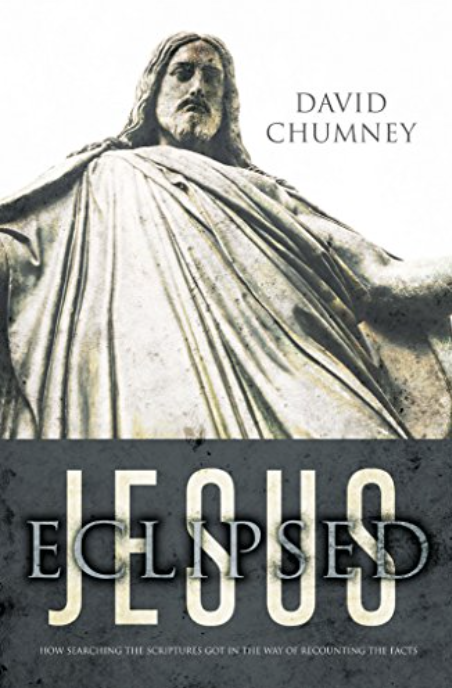 A new book titled Jesus Eclipsed has been introduced by its author, David Chumney, over three posts on John Loftus’s Debunking Christianity site (part 1, part 2, part 3). I have been reading both the book and David’s introductory blog posts and may discuss the work in more detail later. For now I can comment that Chumney is strongly opposed to mythicism (sometimes to the point of misrepresentation) even though his arguments are in all respects — except for two details — found at length in mythicist works by Robert Price, Richard Carrier and Earl Doherty. The two details on which he differs are that Josephus (his James passage) and Paul (his meeting with James) provide sufficient evidence to establish the historicity of Jesus. Unfortunately I think Chumney unwittingly slips into arguing from the same assumptions and with the same circularity as other New Testament scholars, perhaps not surprisingly given that Chumney has the same background in seminary studies. But here I address primarily a point that occurred to me just now as I read his sixth chapter. Most readers will be familiar with the standard scholarly explanation for the passion narrative in the gospels being infused with allusions to “Old Testament”. The disciples were so stunned by the unexpected turn of events, it is said, that they turned to the scriptures to find some means of understanding the death of Jesus and their subsequent “Easter experience”. The passage by Chumney above sums up the idea. We know the Bible and extra canonical Second Temple writings were riddled with laments and praise for the righteous one who suffers unjustly. Unjust suffering, persecution, martyrdom — such was the fate of the righteous man ever since Abel and on right through Job, the Psalms and to the Maccabees. Jewish scribes wrote plenty to remind readers of this “fact of life” and to console them, assuring them that God found their blood “precious in his sight”. So why the need to take from Psalm 22 the line that spoke of dividing garments and casting lots for them? How did that passage add to the meaning of what had happened? None of those lines has any association with a death by crucifixion and they are ignored by the evangelists who composed the passion narratives. Are we to infer that the disciples of Jesus did find deeper meaning for the death of Jesus in verse 18? If so, how could that be? The obvious answer, of course, is that the disciples were reminded of that passage in Psalms when they learned from eyewitnesses that the clothes of Jesus were indeed taken by the soldiers. 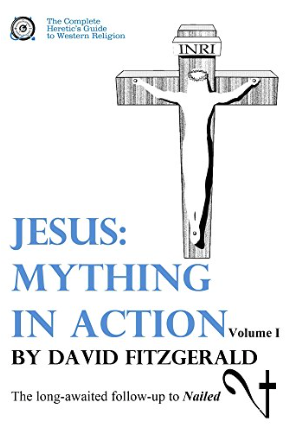 One of the most common refrains in the scholarly output of scholars dedicated to the study of the historical Jesus and Christian origins is that “there is no reason to doubt” that Jesus or some other gospel figure said or did such and such. That is supposed to shut down critical inquiry, it seems. If there is “no reason to doubt” a gospel passage then it is implied that any doubt must be a product of a hostile attitude or at least an unfair scepticism. When a reputable scholar declares “no reason to doubt” what we read in the Gospels a less credentialed reader may feel that the matter is settled. “No reason to doubt X” becomes “we should accept X as historically true”. 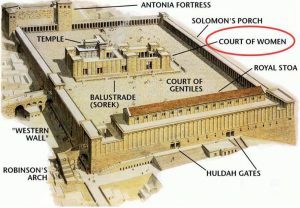 [T]he prophet of Nazareth [Jesus] himself belonged to the house of David. There seems no reason to doubt the particulars about this which are given by the first two evangelists and Paul. There is no good reason to doubt that Jesus came under such criticism already during his period of success and popularity in Galilee. The Gospel pictures offered in Mark 2 and 7 are at this point wholly plausible and should not be lightly discarded. There is no reason to doubt that it was . . . the later slow acceptance of Mark as a fixed and authoritative text which led to the death of oral traditions about Jesus’. That is to say, there is no reason to doubt that Jesus was actually baptized by John; but the account of the heaven(s) being opened, the Spirit descending as a dove, and the heavenly voice, are all evidence of mythical elaboration. We have also already observed that the traditions of both the Baptist’s and Jesus’ preaching seem to have been much influenced by reflection on Isaiah’s prophecies, and there is no reason to doubt that both preachers were themselves influenced by their own knowledge of Isaiah. 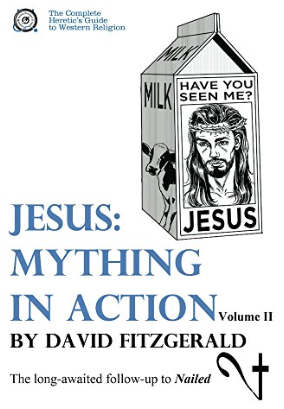 Three features stand out in this catalogue, shared by Mark and Q, as also by the fuller material in Luke: (1) the term ‘sinner …’ is remembered as regularly used in criticism against Jesus, (2) the term ‘sinner’ is regularly associated with ‘toll-collector’, and (3) the criticism is most often levelled against Jesus for dining with such people. There is no reason to doubt that all three features are well rooted in the earliest memories of Jesus’ mission, as is generally agreed. But there is no good reason to doubt the tradition that Pilate took the opportunity afforded him to follow a quasi-judicial procedure. . .
[T]here is no good reason to doubt the basic facts of Jesus’ arrest by Jewish Temple police and subsequent hearing before a council convened by the high priest Caiaphas for the purpose. 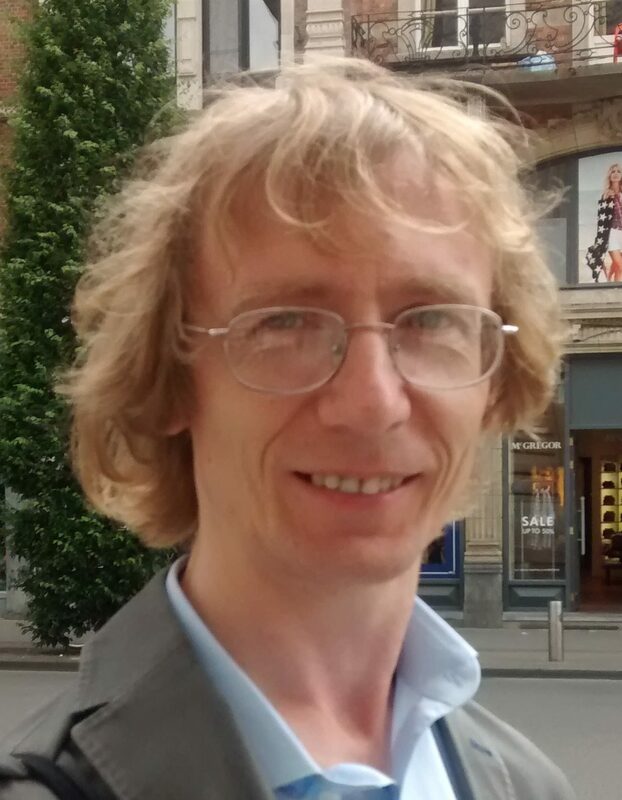 Despite uncertainties about the extent of tradition which Paul received, there is no reason to doubt that this information was communicated to Paul as part of his introductory catechesis. Where there is no such reason to doubt, however, Williamson accepts Josephus in whole and part — events, motives, and moral assessments. Also, on the basis of what John writes, there is no reason to doubt that he understands Joseph to be Jesus’ natural, biological father. Sanders is at pains to stress that there is not, in principle, any reason to doubt that Jesus could also think that already during his ministry the Kingdom was manifest: Jesus is not a systematic thinker with a dualistic apocalyptic theology. 83 There is no reason to doubt this information; on the contrary, only the names of these three disciples of Jesus have a Greek association: “Philip” (cf. also John 12:20-22) and “Andrew” are Greek names; the name of the brother of Andrew, “Simon,” is also often found among Greeks. Although the evangelists present this story in a stylized form which is adapted to their own situation, I see no reason to doubt that they are basically relating an event from the life of the historical Jesus. There is no reason to doubt that Jesus grew up in and around the carpenter’s shop of his father at Nazareth. There is in any case no reason to doubt the depiction of John as an eschatological preacher. In Josephus’ version the Baptist preached ‘righteousness’ and ‘piety’. . . . Josephus wrote in Greek, and these two words were used very widely by Greek-speaking Jews to summarize their religion. There is no reason to doubt that John stressed both. Although this school debate does not appear to have been preserved in its original form, there is no reason to doubt that it represents an actual debate, because if it had been invented (i.e. mis-remembered) at a later date we would expect the Hillelite position to conform to the accepted view here. There is no good reason to doubt that this Simon really was a Pharisee. It has often been pointed out that the difference in pronunciation between Chrestus and Christus would be minimal in this period, and there is no good reason to doubt that what we have here is a garbled report of disturbances within the large Jewish community in Rome, brought about by the presence within that community of some who claimed that Jesus of Nazareth was the Messiah. The so-called ‘triumphal entry’ was thus clearly messianic. This meaning is somewhat laboured by the evangelists, particularly Matthew, but is not for that reason to be denied to the original incident. All that we know of Jewish crowds at Passover-time in this period makes their reaction, in all the accounts, thoroughly comprehensible: they praise their god for the arrival, at last, of the true king. What precisely they meant by this is difficult to assess; that they thought it and said it, there is no good reason to doubt. Virtually all scholars agree that seven of the Pauline letters are authentic . . . These seven cohere well together and appear stylistically, theologically, and in most every other way to be by the same person. They all claim to be written by Paul. There is scarce reason to doubt that they actually were written by Paul. These passages, taken together, clearly stand behind the warnings of Mark 13. Granted our whole argument thus far, there is no reason to doubt that they were used in this way by Jesus himself. There seems to be no reason to doubt that Jesus spent the last week of his life in Jerusalem looking ahead to the celebration of the Passover feast. Polycarp was not eager to be martyred for his faith. When the authorities decide to arrest him, he goes into hiding, at the encouragement of his parishioners. On the other hand, he refuses to be intimidated and makes no serious attempt to resist the forces that want him dead, principally the mobs in town who evidently see Christians as a nuisance and social disease, and who want to be rid of them and, particularly, their cherished leader. Rather than stay on the run, Polycarp allows himself to be captured in a farmhouse in the countryside. And when taken into the arena and threatened with death, rather than defend himself, he stoutly refuses to do what is required: deny Christ and make an offering for the emperor. He is threatened with torture and wild beasts, but nothing fazes him. The governor orders his death by burning at the stake, and the sentence is immediately carried out. As I have indicated, the account appears to be written by an eyewitness, and there is no reason to doubt that in its essentials it is accurate. There is no reason to doubt the entire passage, just the last few words. We see that, while there are vague commonalities between the Jesus story and ancient stories of gods surviving death, hero myths, and legends surrounding other historical figures, none of these commonalities gives us reason to doubt that the Jesus story is substantially rooted in history. One might be forgiven for suspecting that “no reason to doubt” can too easily become a cop out for failure to present an evidence based argument. Maybe it can serve as a cover for assumptions that have been taken for granted and never seriously examined, or for a lazy and naive reading of primary sources. But let’s not be overly harsh. If I read that Jesus walked on water and rose from the dead I think I am entitled to have “reasons to doubt” those stories. But if I read that Jesus taught people to be kind to others or expressed anger at the hypocrisy of authorities I confess I see no reason to doubt such accounts. They are plausible enough narratives of the sorts of sentiments many people express. If, however, I am wanting to dig into the origins of the gospels and Christian teachings then the fact that I see “no reason to doubt” certain episodes becomes quite irrelevant. Compare: If I greet a friend and ask how he is I will probably have no reason to doubt him when he says “Fine, just a little tired today.” But if I were his doctor I would want to know why he is tired and his answer may lead me to do undertake tests. I would have no reason to doubt that otherwise he feels quite “fine” but that will not be my primary concern and given results of tests I may consider his sense of well-being (which I will not doubt) as beside the point. How Do People Respond to the Killing of Their Messiah? We know the story of how Christianity started. 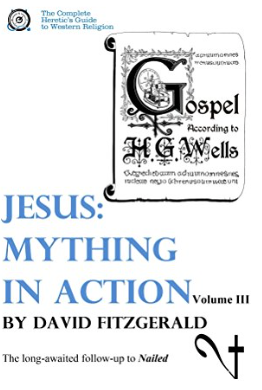 The scholarly explanation is essentially a paraphrase of the narratives we read in the Gospels and Acts. The disciples had been fully expecting Jesus to take charge and begin to drive out the Romans when he went to Jerusalem so were dismayed when he let himself by captured and crucified instead. Something happened in the ensuing days, something inexplicable, or at least beyond historical inquiry: the disciples came to believe that Jesus was still alive and were accordingly inspired to preach the good news of Jesus who really was the Christ (Messiah), that he died and rose again, etc. Anyway, as the conventional explanation goes, the disciples were so confused at first by the demise of their teacher and were struggling to make sense of their subsequent feelings that they delved into the scriptures for answers. How could the one they so believed was the messiah or christ be crucified? Until then it had been inconceivable for any Jew to interpret those scriptures in a way that produced a messiah destined to suffer and die. The scriptures said the messiah would overthrow Israel’s enemies and establish the rule of God on earth. Nonetheless, the disciples were so moved by their recent trauma that they finally found a way to convince themselves they had been right all along: Jesus really was the Christ and he really did come alive again after his crucifixion. So cogent were their explanations of the scriptures that many others who heard them preach also believed. Such a radical reinterpretation of the messiah and the scriptural grounds for its support was so scandalous to most other Jews and the Jewish authorities that they gave them a hard time, stoning them, whipping them, martyring them, and so forth. And that’s how Christianity and the New Testament writings were born. So what do we make of the responses of the followers of another would-be messiah who was killed a century later? 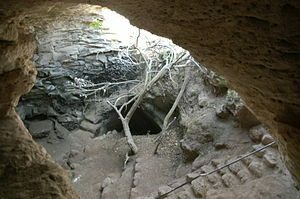 There was a second Jewish rebellion against Rome in the early 130s led by Bar Kochba. Apparently many believed he was the messiah doing just what a messiah was supposed to do — fight Romans. There was a famous rabbi named Akiba (or Akiva) who is said to have even pronounced his messiahship and fulfilment of prophecies from the Pentateuch. But he was killed, too. Now it happens that at some point (we don’t know when with any precision, but the first signs of it indicate it was some time within the first couple of centuries of the Christian era) a belief in a messiah who was to die in battle emerged among Jews. How do we explain the emergence of belief in a dying messiah among the Jews? Some have suggested the idea grew out of the experiences of the followers of Bar Kochba and was a response to their great disappointment when he failed. It might be interesting for some to have a look at what a scholar from the Department of Hebrew Literature at Jerusalem’s Hebrew University had to say in an article published in 1975. He is outlining the views of some of his peers. It is interesting to compare the explanations with the conventional one for the emergence of the Christian myth. Does the logic imply that Christianity began because the disciples were less disappointed in Jesus? But would we not expect a lesser disappointment to lead to disciples packing up everything and going back to their former routines? Or do scholars really expect us to believe that there was some inexplicable “easter event” that was responsible for Christianity? In the previous post we looked at ancient Jewish concepts of multiple messiahs, each with a distinctive role. There was Davidic messiah who for most of existence lives like a destitute vagabond or beggar, despised, rejected and unrecognized in the streets of “Rome”. Then there was a messiah from the tribe of Joseph who emerged as a warrior to lead Israel in a battle against the ultimate forces of evil but who was killed in that battle. His death was the cue for the Davidic messiah to emerge from obscurity and call upon God for the resurrection of the fallen messiah. We also saw other messiahs, one from the tribe of Levi or family of Aaron, who was a priest-messiah. Associated with these messiahs was a prophet, Elijah. We looked at some reasons for believing such ideas were familiar (if not unanimously embraced) by Jews prior to the fall of the Temple in 70 CE. In a future post I will look at additional evidence for assigning such beliefs as early as the period from 200 BCE to 70 CE. 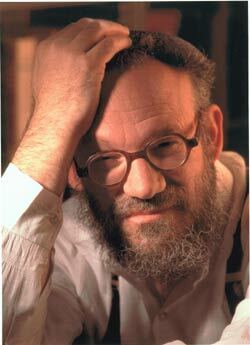 I will also address the midrashic processes by which Second Temple era Jews could well have arrived at such characters and scenarios according to Daniel Boyarin. And most interesting of all, at least for me, I will post on how all of these ideas relate to what we read in the Gospel of Mark about the figure of Jesus and the reason for his crucifixion.